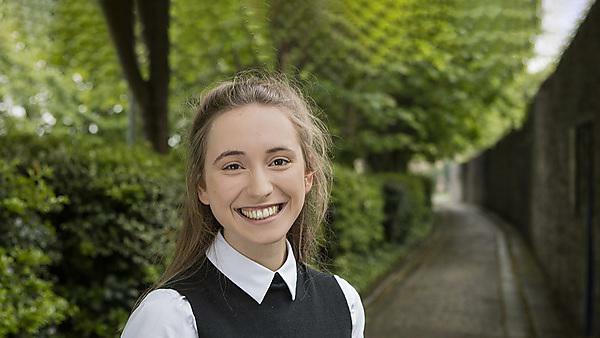 "My three years at Plymouth solidified my passion for the environment, and have enabled me to apply my environmental knowledge to the greatest effect in consultancy." After completing my studies, I had a months break before I began employment at WSP as a graduate consultant within the Environmental Assessment, Management and Town Planning team based in London. Since joining, I have supported on the delivery of Environmental Impact Assessments (EIA), undertaking elements of the EIA process including Screening, Scoping and the Environmental Statement; assisting project managers in the coordination of Environmental disciplines and and the preparation of proposals for new project bids. This includes work on a wide range of projects, including; highways, bridges, airports, urban regeneration, property and rail. I am currently seconded to the Crossrail South East Section Project at Abbey Wood Station, where I am the Assistant Environmental Manager. Here I provide specialist knowledge to the construction teams on site, complete dispensations and other environmental reports and ensure we keep to our environmental goals. I have been working on some interesting, innovative new developments within the London area in a range of industries, including property, infrastructure, skyscrapers and rail. However my favourite memory is how I began my career working on the Environmental Statement for London Paddington’s redevelopment “Paddington Quarter”. This first experience within a real EIA system, working within an interdisciplinary team to meet our targets and the Client’s expectations, was truly gratifying and an experience I will not forget. Don’t panic, volunteer, take every opportunity to enhance your skill set, and be proactive; register your interest by sending out your CV, networking and getting your name out there. Environmental science attracted me, because of the diversity of modules, with interdisciplinary teams and assessments. Environmental science enabled me to combine knowledge from different subjects and apply them in a range of opportunities, including within the most incredible setting on the residential field trip to Malaysia! Studying environmental science was incredibly significant to me, as I work at present as a coordinator for several environmental disciplines, and therefore I am able to apply this knowledge when communicating with both the environmental disciplines, and the client. Plymouth has a wide range of support services available to students. I made great use of these services which include but are not limited to; LabPlus; the 24/7 Library service;the Volunteering Hub within the Student Union; the Careers and Employability Service and the Peer Assisted Learning Scheme (PALs), within which I became personally involved as a PALs Senior Leader. This opportunity arose due to encouragement from academic tutors and experience gained from the course. This motivation really solidified my passion for a job within the environmental sector. My three years at Plymouth solidified my passion for the environment, and has enabled me to apply my environmental knowledge to the greatest effect in consultancy. The practical experiences that I gained through my degree include laboratory skills within an ISO accredited laboratory and field skills on Dartmoor, project management and team work, research skills within my final year project and computer skills including ArcGIS. One assessment in particular reinforced my interest in consultancy; the desk study EIA on the environmental implications of a wind farm.This desk study required GIS mapping, evaluation of planning policy and legal requirements, and recommendations for mitigation measures and further investigation. These experiences have made a significant contribution to my abilities, and are invaluable to my ambitions for my future. With the motivation taken from the course, I look forward to the many challenges ahead, and encourage others to work hard, and you will achieve your goals.